Located in the southern part of Malaysia, Johor Bahru; or more commonly known as JB, is the state capital of Johor. Therefore, many commuters travel from other parts of Malaysia to Johor Bahru. Train to Johor Bahru is also popular because of its proximity to Singapore. There are daily KTM shuttle trains to Singapore that departs frequently from JB Sentral. There is no direct train from Malaysia to Singapore so for those who wish to travel to Singapore by train need to take train to JB first. 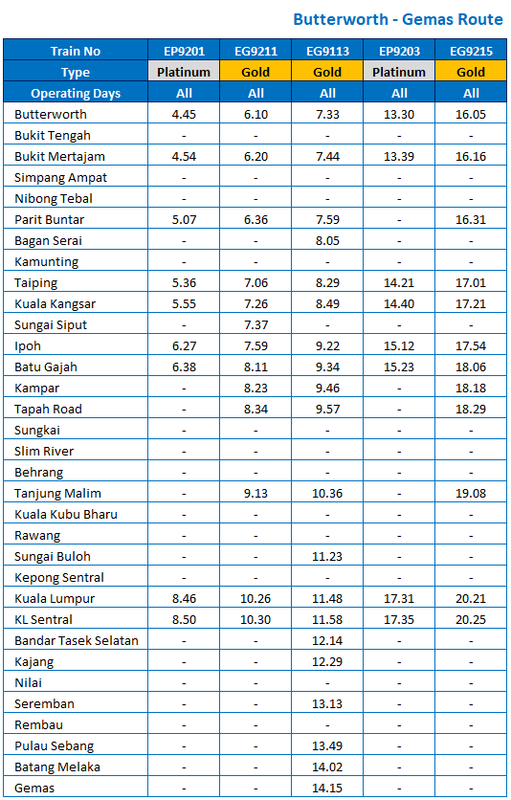 Please note that the ETS train services do not reach JB. Instead, the ETS train services stop in Gemas, Negeri Sembilan. 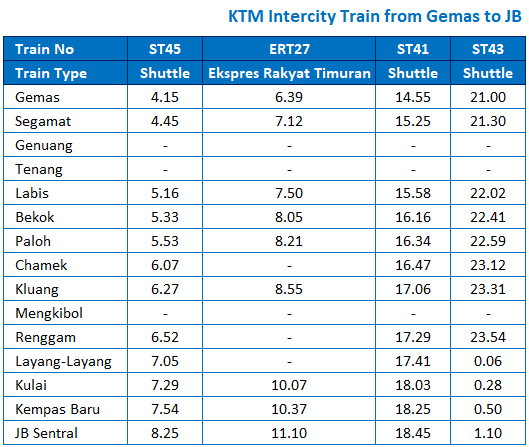 Therefore, if you are far from the northern part of Malaysia, you will first have to take the ETS train to Gemas and then change to KTM Intercity train to JB. ETS Gold – have more stops compared to ETS Platinum, taking slightly longer time compared to ETS Platinum. To reach JB from the northern part of Malaysia, you will have to take the ETS train to Gemas. Then, change train to KTM Intercity train service to JB. 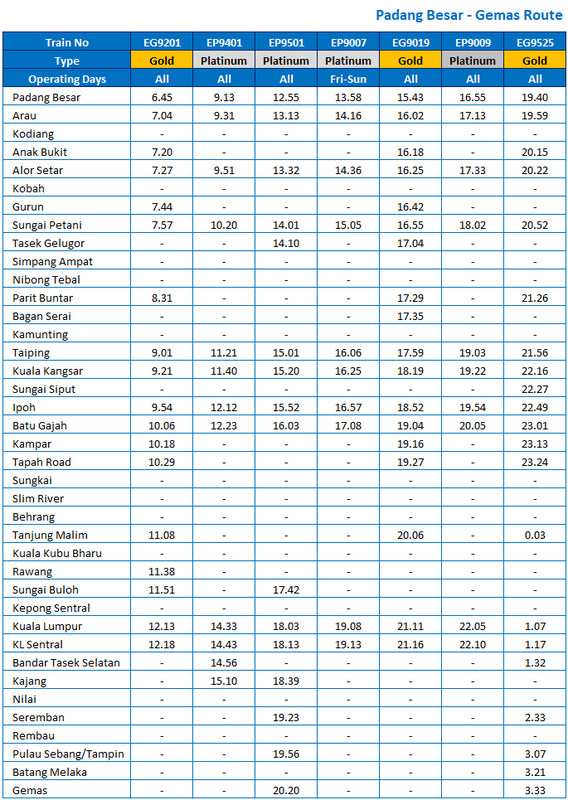 Below are the ETS train schedule from Butterworth/Padang Besar to Gemas and the KTM Intercity train schedule from Gemas to JB. Click here to see ETS train schedule from Padang Besar to Gemas, valid from 1st August 2017. Click here to see ETS train schedule from Butterworth to Gemas, valid from 1st August 2017. Click here to see KTM Intercity train schedule from Gemas to JB, valid from 1st August 2017. The final drop-off point for train to Johor Bahru is at JB Sentral. JB Sentral is one the important transportation hub especially for train services in JB. It is located in the city of Johor Bahru, near to the bridge that linked Johor Bahru and Singapore. The distance from JB Sentral and Larkin Sentral Bus Terminal is around 30 minutes driving distance away. JB Sentral also serves as the immigration and custom checkpoint for those who want to travel to Singapore. For a more detailed information, check out our travel guide of taking the KTM Shuttle train service from JB Sentral to Singapore Woodland CIQ. The ticket for this shuttle service is also available online at BusOnlineTicket.com. There are two types of KTM Intercity train; Superior Class and Superior Night Class. Both train types are quite similar except that Superior Night Class have sleeper compartment for the passengers. There are toilets on-board and you can also buy food from their canteen or buffet coach. For Muslims, there is also a prayer room or surau in the train. Travelling by train to JB can be quiet troublesome especially if you are far from the northern part of Malaysia. This is because you will have to transfer to another train service along the journey (i.e. ETS to KTM Intercity). Still, the ETS train service provides convenience and better comfort compared to bus, hence taking the train is still a popular way to travel to JB. Alternatively, you can travel by bus directly to JB, or even directly to Singapore. You can check bus ticket availability at BusOnlineTicket.com. Popular bus route include bus from KL to JB, Ipoh to JB, Malacca to JB and many more. So, plan your trips wisely and book your bus or train tickets online with BusOnlineTicket.com! 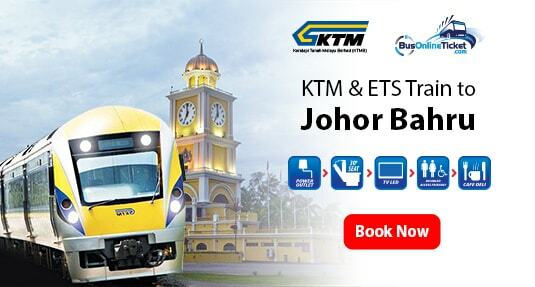 Easily Book Your ETS Online Ticket to JB Online Now!